These are interesting ways through which you could secure the multimedia files you get via WhatsApp from invasion. When you receive a photo or video from a contact in WhatsApp, after you load it, it’s automatically saved to your phone’s local storage. 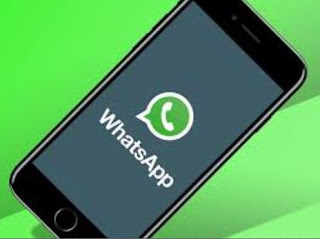 That means all received content from WhatsApp is visible to anyone who gains access to your default photo gallery. Luckily, there’s a new feature available for the Android version of the app that can prevent this from happening. However, Gadget Hacks says for now, this new feature is an experiment in the WhatsApp beta for Android, but you can try it out by joining the WhatsApp beta from Google Play. The new feature in the WhatsApp beta for Android will prevent photos and videos from automatically being saved to your device’s default gallery. Any media you have in your gallery from WhatsApp already will still remain; only new media received going forward will be blocked from ending up in your gallery app. All media will still be available to view in the WhatsApp threads that they were received in. If you want WhatsApp to make hiding photos and videos from the gallery the default option for all chats, from the WhatsApp main screen, tap the overflow icon (three vertical dots) in the top right. Next, tap “Settings,” then select “Chats.” Finally, make sure “Show media gallery” is deactivated under Media visibility to ensure this option becomes the default for all of your chats. If you only want one or some of your chat’s media hidden from your gallery, you don’t have to rely on an app-wide setting to get the job done. You can change each chat’s setting to best fit your needs. Yes: This overrides the app-wide setting to save all photos and videos to your device’s default gallery app just for this conversation thread. No: This overrides the app-wide setting to hide all photos and videos from your device’s default gallery app just for this conversation thread. Choose whichever option fits your situation. However, keeping a chat on “Default” will switch its individual setting any time you change the default option in Step 1. With both these options in mind, remember that you aren’t stopping photos and videos from being received in WhatsApp. If you hide media either app-wide or on a per-app basis, photos and videos will still be visible in the WhatsApp chats themselves (unless you delete the media or whole chats).